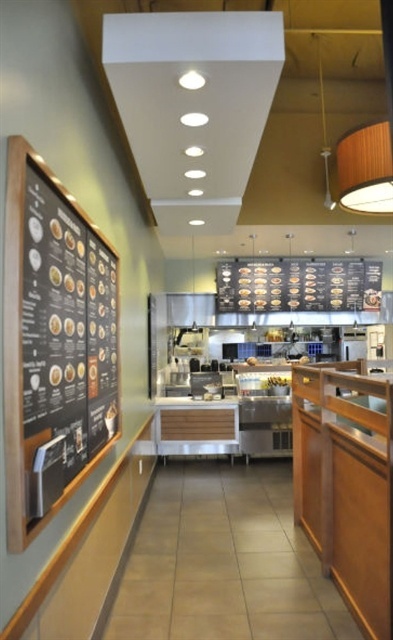 Noodles & Company, a nationally recognized Fast Casual chain known for its mix of the world’s favorite noodle dishes cooked fresh to order, sought out solutions to expand their market share and encourage new and returning customers to try more of their menu offerings. 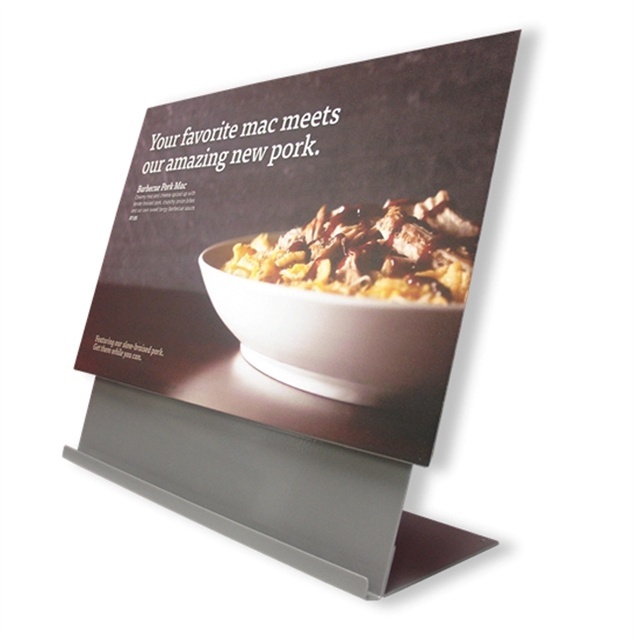 The Howard Company/Howard Menus accepted the challenge to redesign their interior menu boards and point‐of‐purchase displays, offering a product visually pleasing and easily updated. Noodles management researched ways to expand their customer base and encourage customers to try new menu items after evaluations indicated repeat orders as standard during restaurant visits. 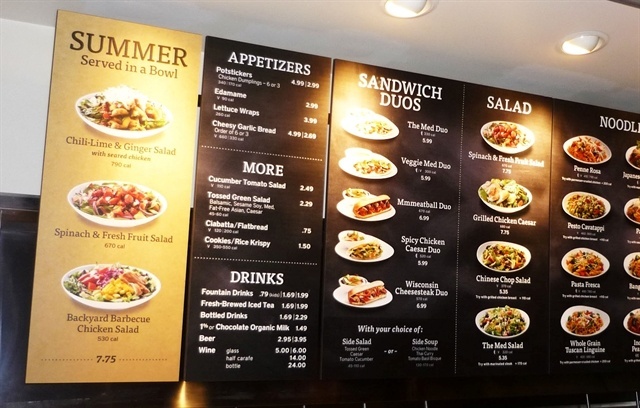 Howard Menus was tasked with submitting prototype drawings, then building menu board and greeting wall samples showing a more dynamic menu display customers could easily reference. Complicating the redesign task was adapting the displays to fit varying store layouts. Howard Menus test marketed their designs in eight restaurants in the metro‐Denver area. Completed installations were evaluated by a board of individuals from both corporate and franchisee leadership. An assessment period followed, evaluating day‐to‐day sales, repeat business, and noting if repeat customers tried different fare offered on the new picture menu boards. Return visits and new item sales figures were markedly increased at all locations, and managers noted a much wider variety of products was being ordered by their customers. Noodles corporate expanded testing nationwide at 35 existing locations and five new restaurant openings. The same assessment process was conducted at the new locations. By September 2012, sales indications were up, return visits were up, and most importantly, new item sales were up now that guests could see pictures of the various menu items offered from the more visual menu board. The old menu system was primarily text-based with no food images. In the new menu board, the food imagery sells the products. Guests can see the items offered and are willing to try new entrees. 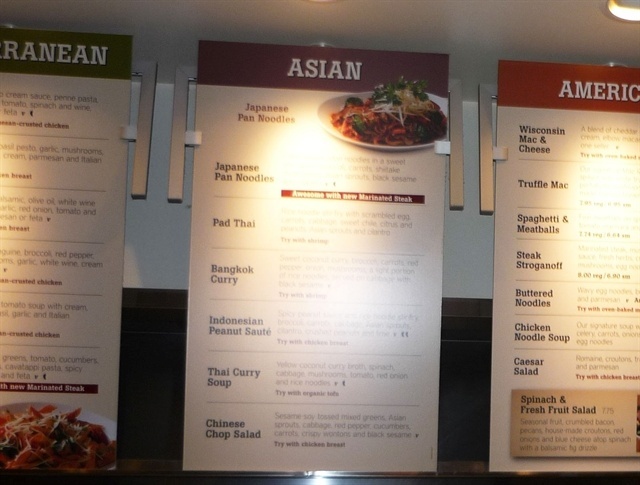 Noodles wanted to update their "Welcome Wall" with new visual graphics and upsell opportunities. In this "Before" picture, outdated plates and food images needed replacement. Our "After" photo shows the new Welcome Wall graphics and upsell wine cabinet. 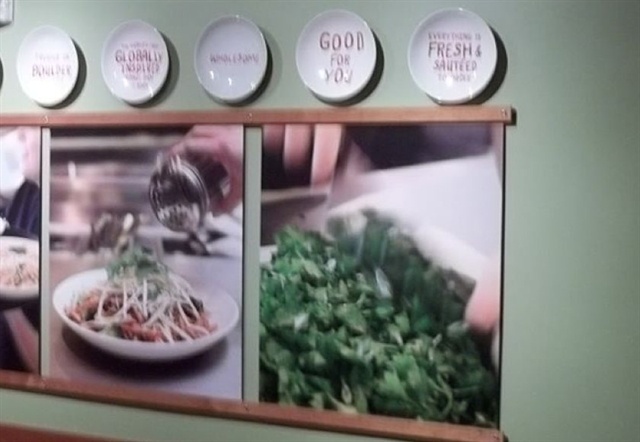 Close up of the new Welcome Wall graphic, the first exposure of the Noodles menu to guests. 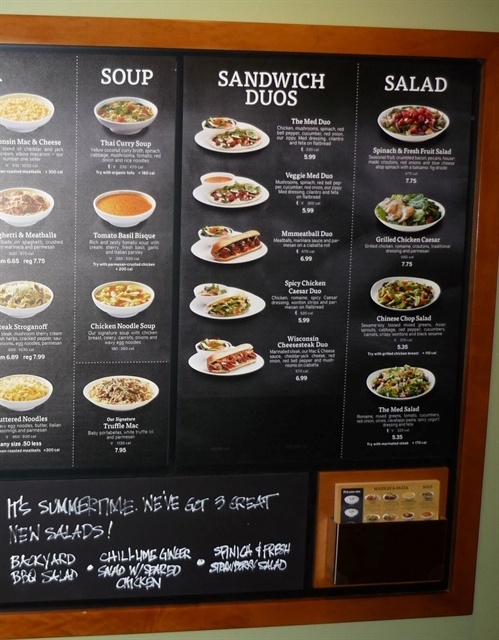 Guests can look over the menu and make food decisions while waiting in line to order. Food images make it easy to decide which tasty entree they want to try at this visit! 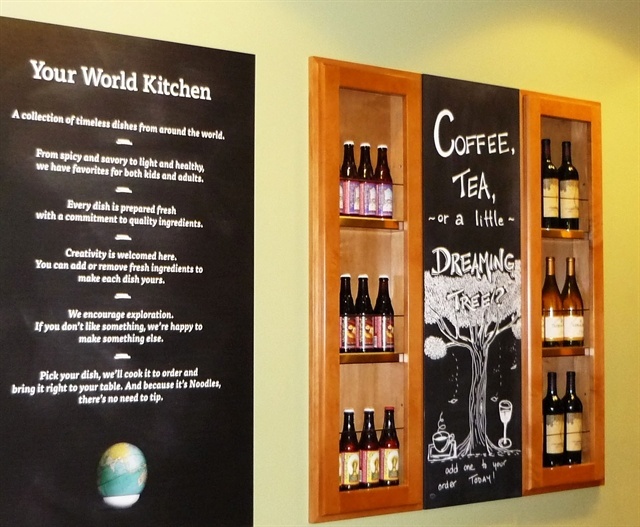 The 'Your World Kitchen' graphic expands on Noodles' company philosophy and mission statement, a nice touch to connect with guests as they wait in line to order. Not only did The Howard Company supply new dynamic graphics for the chain, but we developed POP products like this register shroud which also utilizes magnetic and changeable promotional graphics. 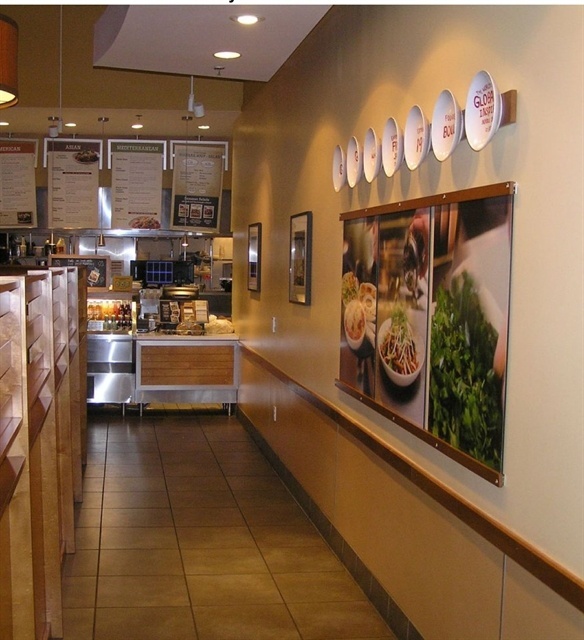 In the fall of 2012 Howard was given nine months to refresh and update all 300+ Noodles restaurants with menu boards and POS items. The job included removing the existing menu boards and welcome plates, patching and painting walls, installing new menu boards, new ‘Welcome Wall’ signage, new wine/beer displays inset into walls, the new ‘Marketing’ panel, and supplying register shrouds all at every location. Meeting the needs of our customers is a primary goal of The Howard Company and its brand companies. Customers looking for supplier stability, quality menu boards with competitive pricing and a dependable customer service department find these traits evident in every Howard Company product. The Howard Company and its brands continue to offer their customers the highest quality products and outstanding customer service at an affordable price. 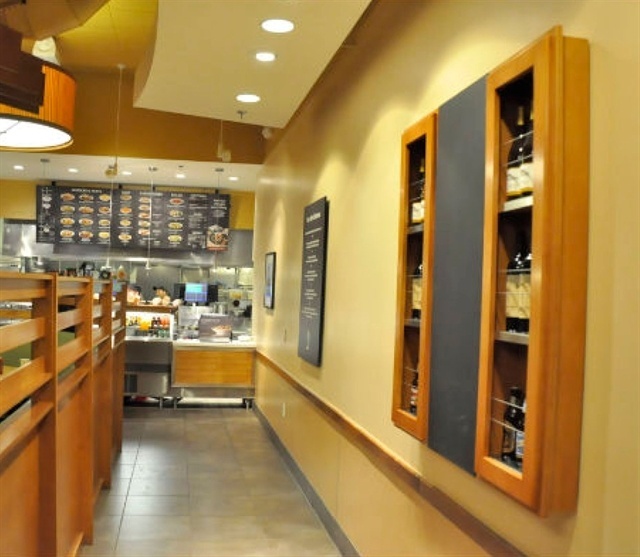 Our return customers attest to our desire to keep our products on the top of their list when looking for new or replacement menu boards for their stores.